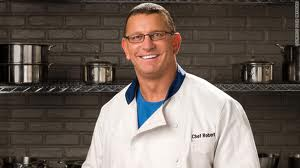 Just wanted to wish chef Robert Irvine a very Happy Birthday. I got the chance to meet him at the Atlantic City Food and Wine Festival and I have to say he is such a nice person, really down to earth guy. I hear a bunch of the restaurants still struggle after he leaves…. Our whole family watches his show together. We’ve noticed a handful of shows done in PA restaurants. Is he based in the area?